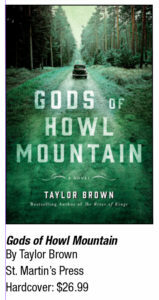 In Gods of Howl Mountain, award-winning author and UGA alumnus Taylor Brown explores a world of folk healers, whiskey-runners and dark family secrets in the high country of 1950s North Carolina. 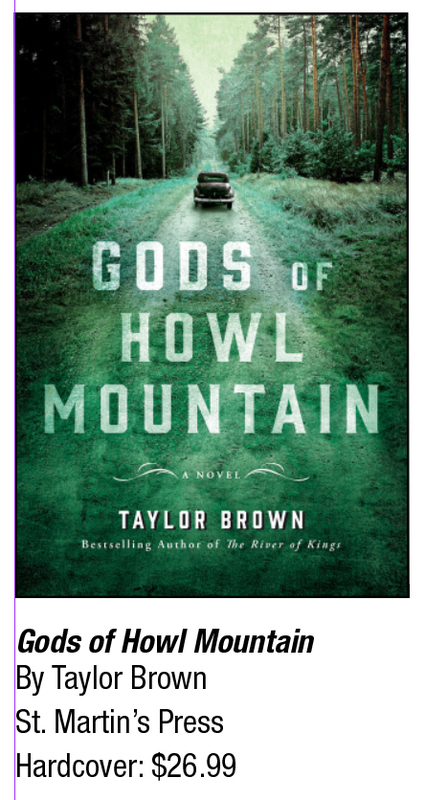 In the mill town at the foot of the mountains—a hotbed of violence, moonshine and the burgeoning sport of stock-car racing—Rory is bewitched by the mysterious daughter of a snake-handling preacher. His grandmother, Maybelline “Granny May” Docherty, opposes this match for her own reasons, believing that “some things are best left buried.” A folk healer whose powers are rumored to rival those of a wood witch, she concocts potions and cures for the people of the mountains while harboring an explosive secret about Rory’s mother—the truth behind her long confinement in a mental hospital, during which time she has not spoken one word. When Rory’s life is threatened, Granny must decide whether to reveal what she knows…or protect her only grandson from the past.